I've been on vacation for a couple of weeks (Paris, London, Bath) because my brother just got married in Paris, and boy do I have a lot of bookish things to talk about the trip, but since there are 1600 pictures I need to wade through to write that post up, I'm going to talk about BEA first. 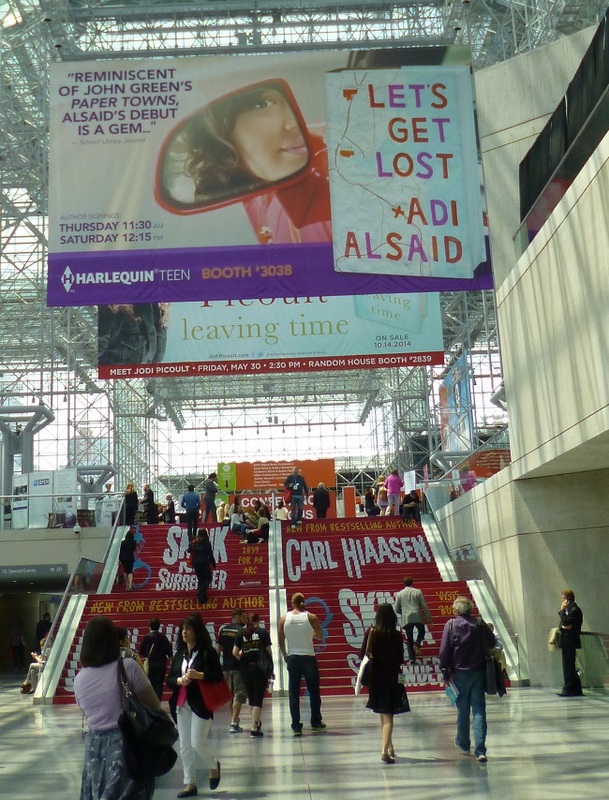 What BEA is and my experience this year: I've talked about Book Expo America (BEA) here in the past, but for those not in the know, it's a trade show that focuses on books. Since 2009 there has been a Book Bloggers Conference (now called the BEA Blogger's Conference) affiliated with BEA. If you have a BEA Bloggers badge, you can go to BEA. 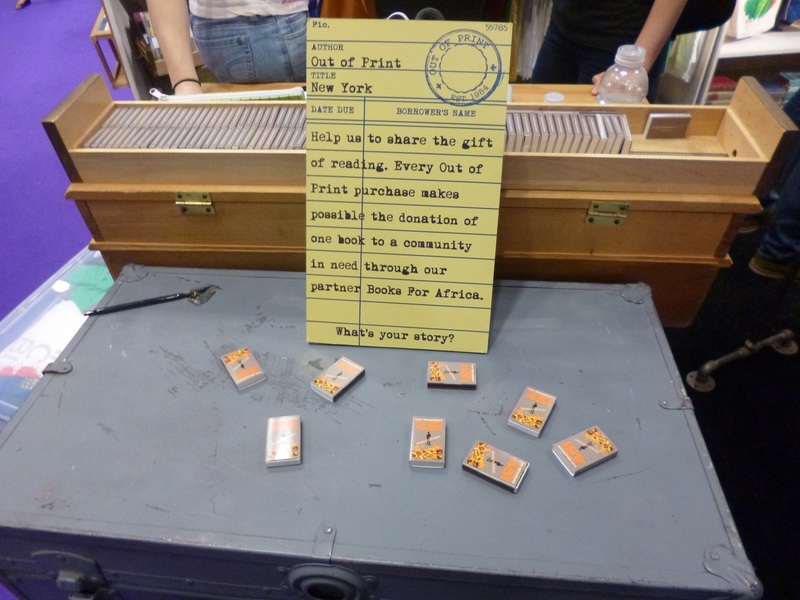 BEA has been limited to industry professionals, (and in the past few years, to book bloggers as well), but last year they opened up one day to the public with a "Power Readers" day. 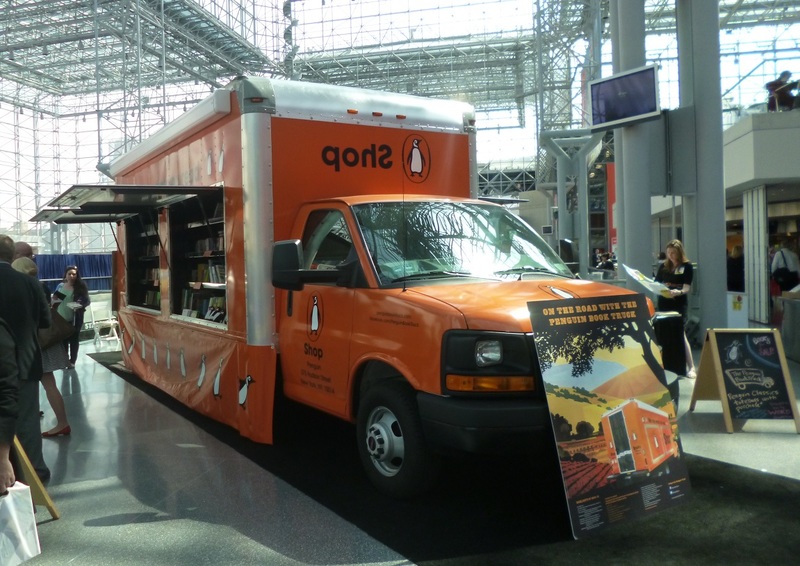 This year Power Readers got rebranded into BookCon, but more on that later. 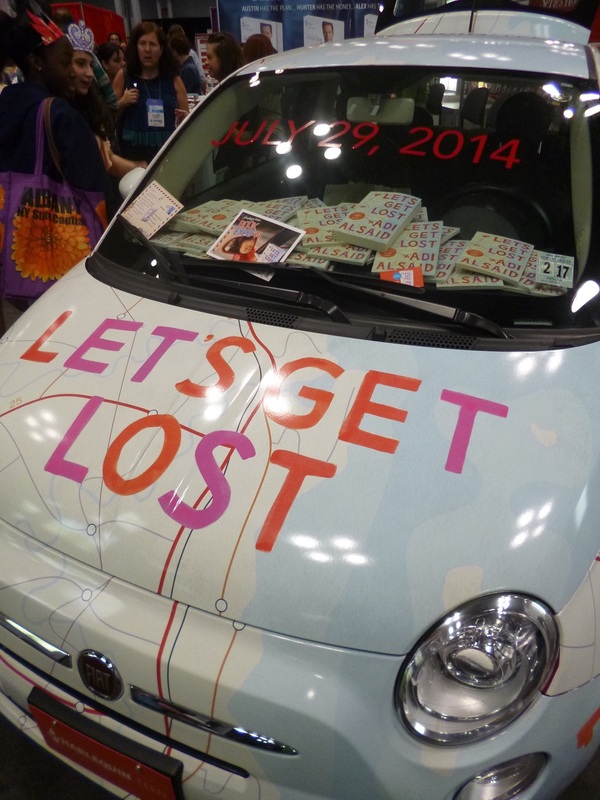 Although I signed up for the BEA Blogger's Conference, I ended up not going. It was on Wednesday and didn't feel comfortable taking time off mid-week when I'd just taken time off, and I haven't exactly have had much time to blog either. This is also why I didn't RSVP to any invitations to publishing parties. 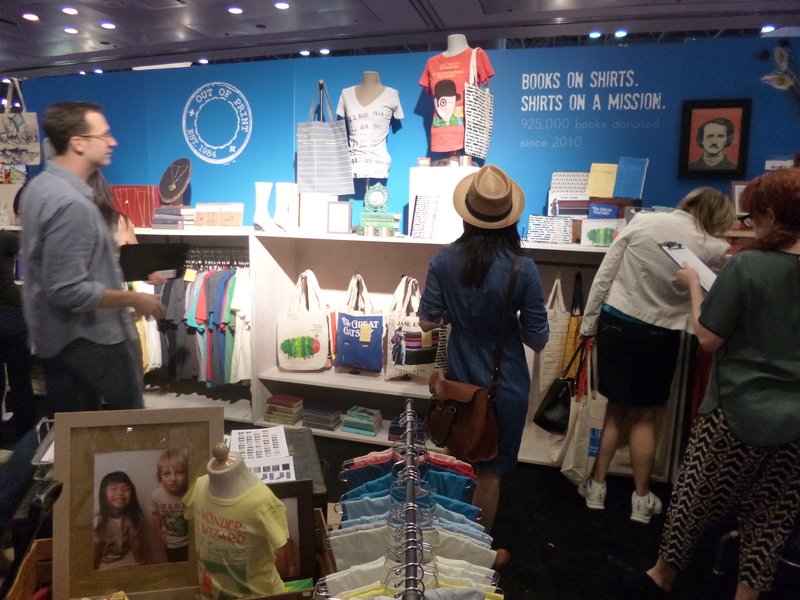 In the end, I just went to BEA on Friday and Saturday, and I made up for my time off on Friday by working on Sunday. 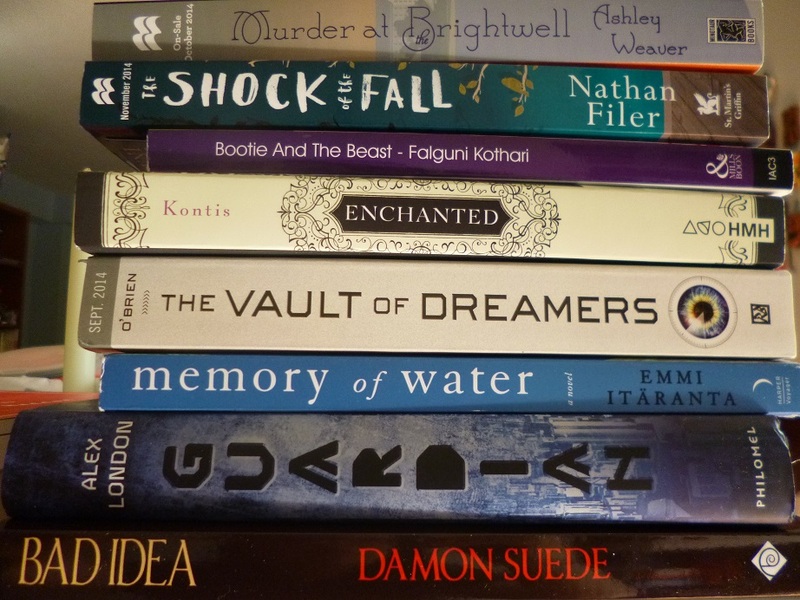 I think this year was the year that I was the most laid back about BEA - I didn't have the same "I can't sleep" feeling the night before (although jetlag may have had something to do with it), and I only looked at what books would be available the night before. 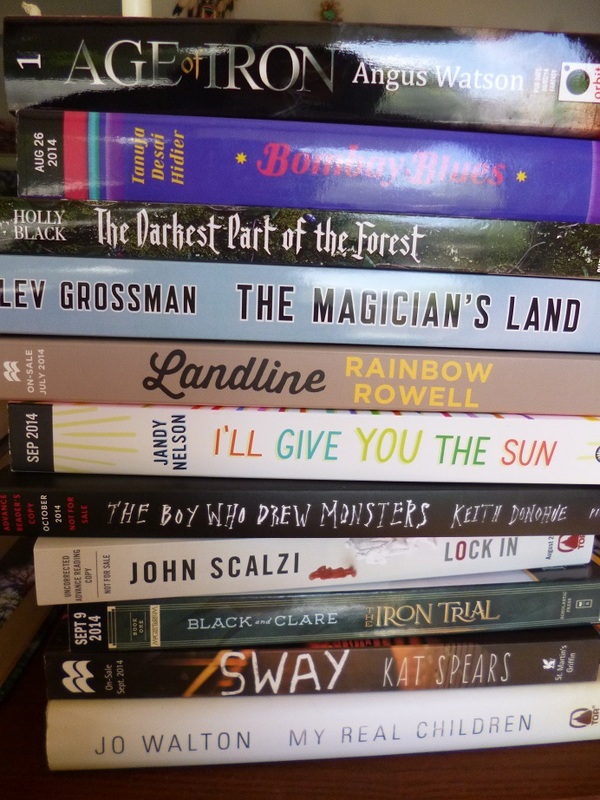 What ended up happening was that my list of books to get was 2 to 4 books per day, so I had a lot of free time to wonder around and just stand in lines for books that sounded interesting and to try to get a few books for other people. The downside of this is that not having a lot of books I specifically wanted made me have more time to wander and more time to get more books ("Well, I have nothing else to do, may as well go to that galley drop...", "OK, I guess will take that book you are offering me", "Excuse me, what are you in line for?")... this was a terrible strategy for keeping books out of my house. However, because I only went 2 days, I had a lot more energy on the floor this year than previous years, which includes that energy I need to be sociable. 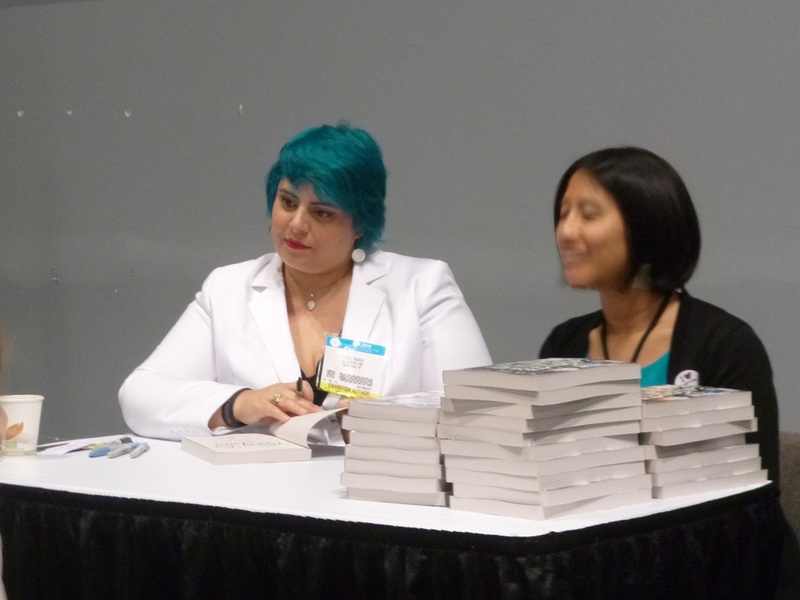 I'm practically a mute elsewhere, but I feel safe striking up a conversation at BEA. I met Asma of A Reading Kobocha waiting for a Holly Black signing, Emily of Oktopus Ink while in line for Alex London, Stephanie of Views from the Tesseract in a line for John Scalzi, and Celia of Dragons Den Publishing while waiting for a couple of RWA signings. I also got to see a few old faces - Kate and Alyssa and Mr. Raging Bibliohol, and fellow YAckers Nicole and Sandy. And that's not including everyone I randomly talked to or shared a cab with or sat next to on the shuttle back to Grand Central. I also got to have dinner with YAcker Heidi because real life overlapped with online life and we have a friend in common who lives in Manhattan (related: we have a system to send books to each other via people we know, aka our book mules). 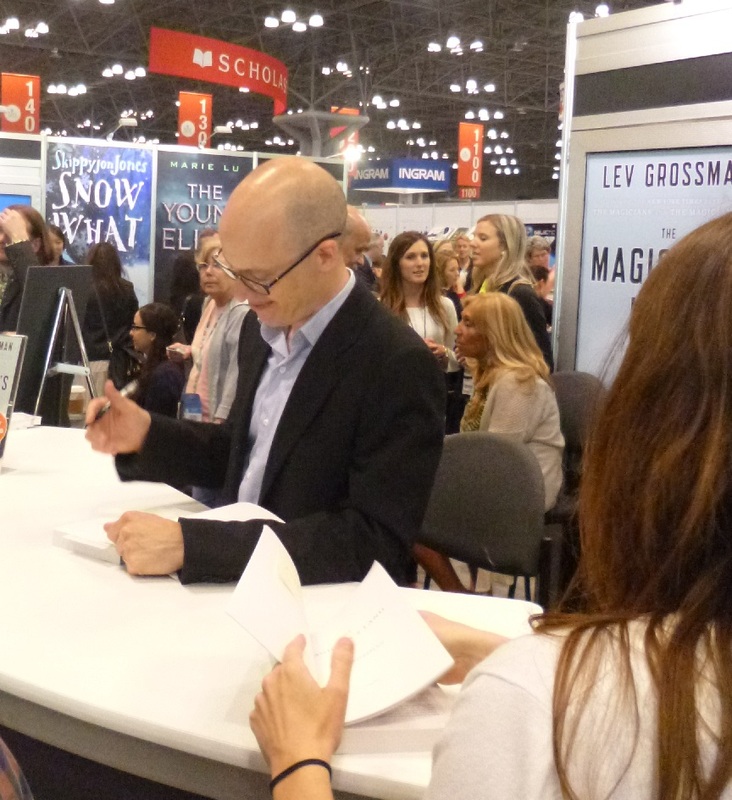 When I was in London, I felt very American because I could hear myself whenever I said, "It was awesome", but "awesome" is what I think about talking to book people at BEA. The only downside of enjoying their company is missing their familiar faces when they aren't there. 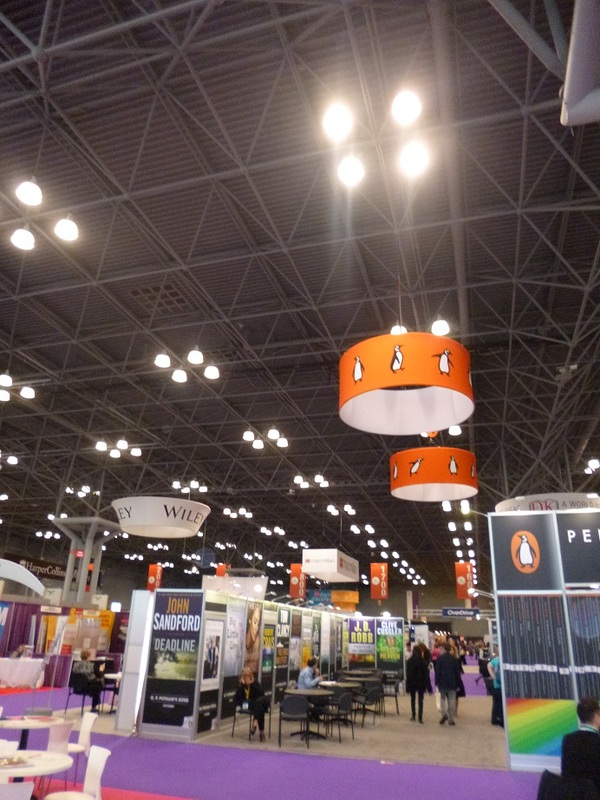 There were a lot of bloggers that didn't come to this years BEA that I missed. 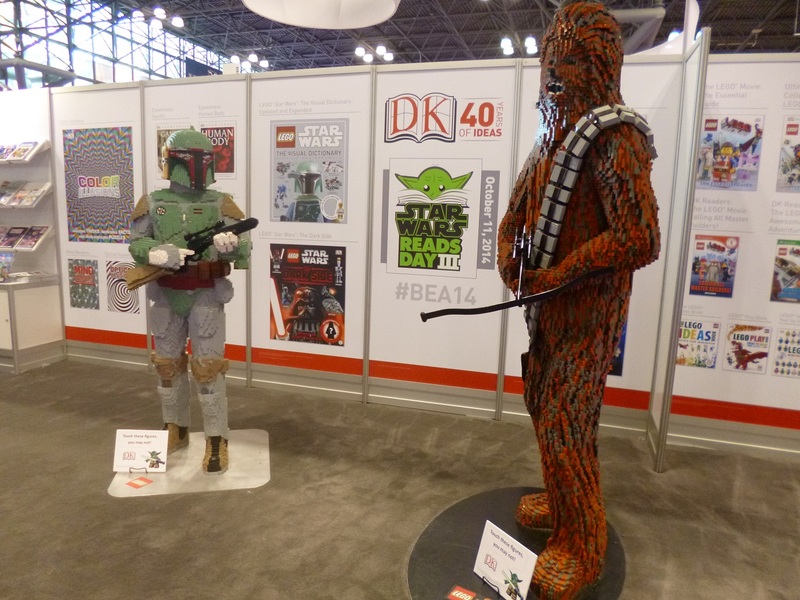 BEA versus BookCon:There seems to be some murmurings about BookCon and how it's changing BEA online. 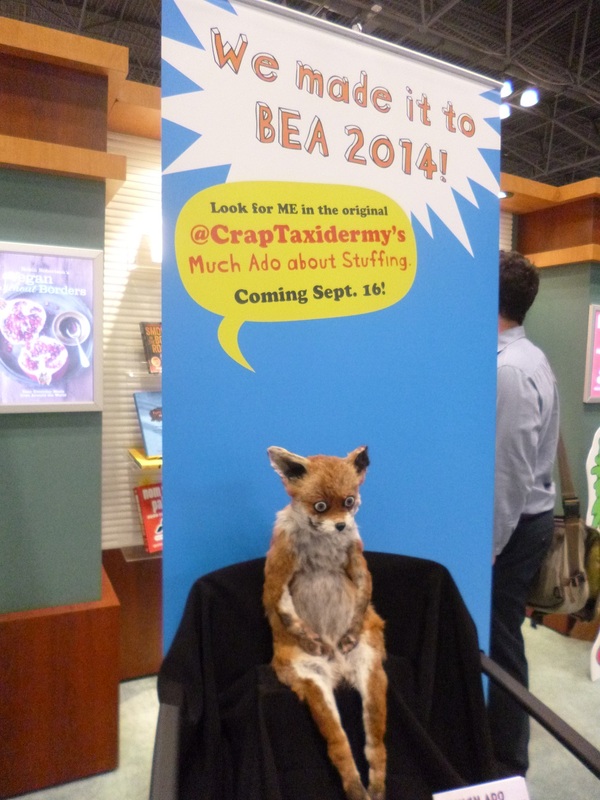 I like the concept of the public getting to experience BEA, but I did find the crowds really crazy / anxiety inducing. 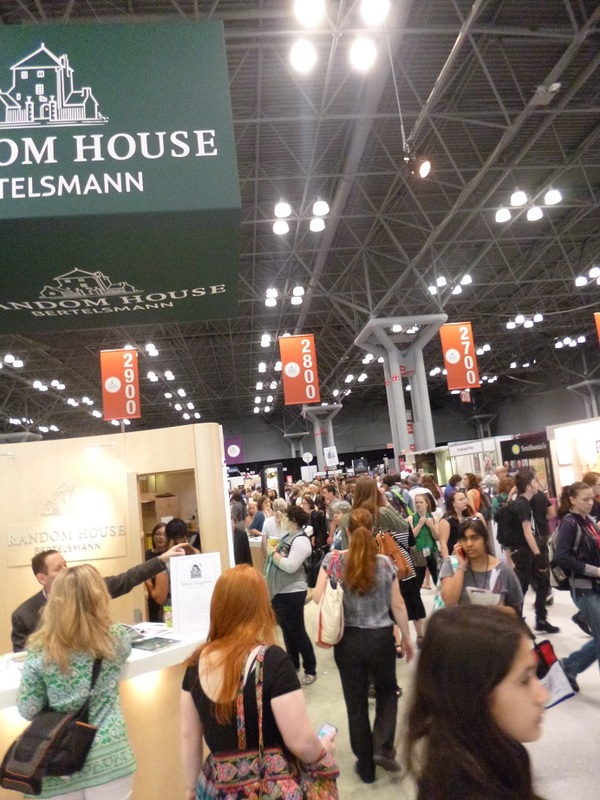 I would go to the BookCon side of the floor only when I had to, and go back to the BEA side when I needed to breathe. Here's some comparison pictures. I guess that's all I have to say about it. BEA is on the left, BookCon is on the right. The Haul: Finally, these are the books I ended up with. It would be cool to meet you! :) This year I really felt like if I didn't live so close to NYC, I probably wouldn't have gone, but I feel I have to when it's SO close by. Not sure how I will feel about attending when it moves to Chicago in 2016.
:) :) Let me know if you are ever in NYC. We can go to bookstores together! AND/Or eat / walk around. :D It will be fun. it was great seeing you for the short time that we did :) I wish we had more time!